For so many this means school is about to start (or has started) and the fall weather is coming soon! Since I didn't start this blog until after the summer, I decided to hurry and post a recipe for something maybe you could use for your Labor Day weekend picnics! 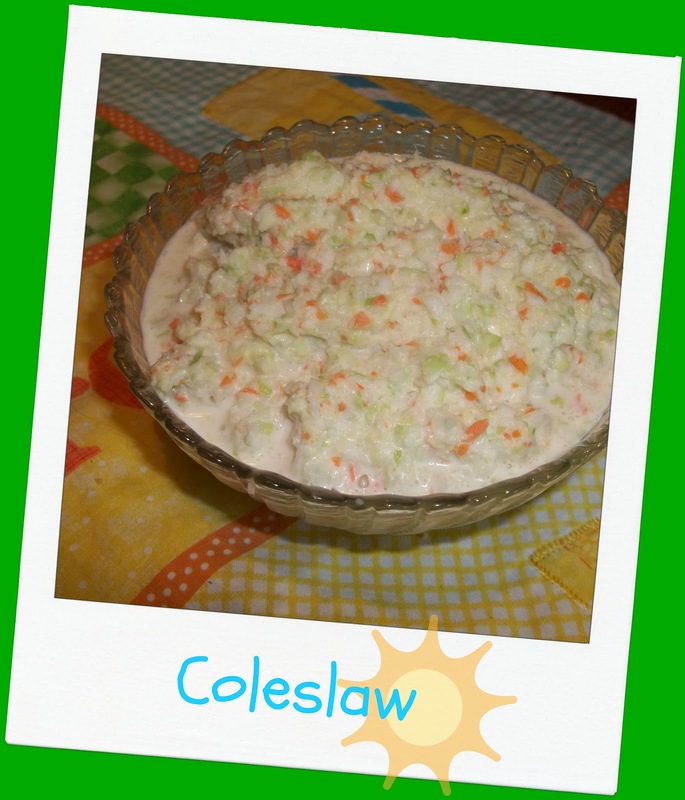 COLESLAW! Can I be honest? 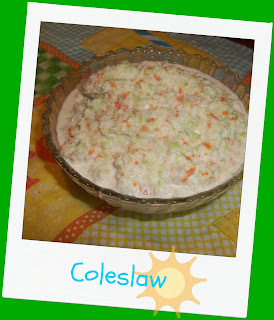 I hate coleslaw. To me, its always some various shade of dingy white, or appears to have no dressing on it at all. Raw cabbage isn't my favorite thing, so it just seemed unnecessary to even eat it. Oh but I forgot, at all diners, EVERYTHING comes with a damn side of mystery cabbage in a cup. Have you ever stopped to think how long its possibly been in their walk in fridge? Gross. 2-14ounce bags of shredded coleslaw. Use a regular head if you like, shredded was on sale. Put shredded cabbage in your food processor and process until it is in smaller bits. Place into a large bowl. Prepare dressing and add to cabbage, mix thoroughly. Refrigerate at least an hour before serving. I like making it the day before. I just made a batch for Sunday supper tonight and it will have been in the fridge only 3 hours. Like I said, this is on the sweet side. I never had to pay attention to how much of anything I was putting in food until this blog. I feel so grown up. It scares me.